How Empowered is Your Workforce? - Virtual Diamond Boutique | VDB | Trade Platform | New York. How Empowered is Your Workforce? Home Business How Empowered is Your Workforce? Our corporate DNA is rooted in being a diamond supplier. So when we decided to branch out and become a technology company, we realized that we had to be as nimble and innovative as any other technology company, or we wouldn’t be competitive. The type of business culture that exists in the technology world is very different from the typical jewelry industry business culture. And though we don’t have an office filled with Foosball tables and nap tents, we’re excited about the journey we’ve been on and our commitment to continuous development and improvement. We’ve gone from being a NYC office to a company that has teams in five different time zones. We work across the globe digitally, relying on video meetings, groupware, and apps to achieve proximity that we used to have just by walking down the hall or yelling across the room. But our most important growth isn’t related to software or communications tools – it’s our company culture. When you study leadership and the characteristics of fast companies, the thing that stands out is that the highest performing teams are very empowered. They have a clear vision of where the company is going, what is expected of each team member, and how they are progressing relative to the goals. Employee empowerment is critical, because if everyone is always waiting for the boss to tell them what to do next, the boss becomes the bottleneck! And if the boss is the only one coming up with ideas, then the company’s innovation becomes limited to what one person can dream up. Empowering employees isn’t the same as saying, “OK, go do your own thing.” That’s anarchy, and nobody makes money doing that. An empowered team has shared goals and objectives, they communicate well with each other, they measure their progress and adjust their performance accordingly, and they are accountable to customers and to one another (not just to the boss!). One of the most challenging things about creating an empowered work force is that you have to be comfortable with people making mistakes. Not all the time – and certainly not the same mistakes over and over again! But part of learning and growing is making mistakes, analyzing them, and getting smarter and stronger. If the boss is the only person allowed to make mistakes, the boss is the only one learning and growing. We still have a lot to learn about the most effective ways to empower employees, but already we’ve made big strides, and we’re excited to continue this journey. 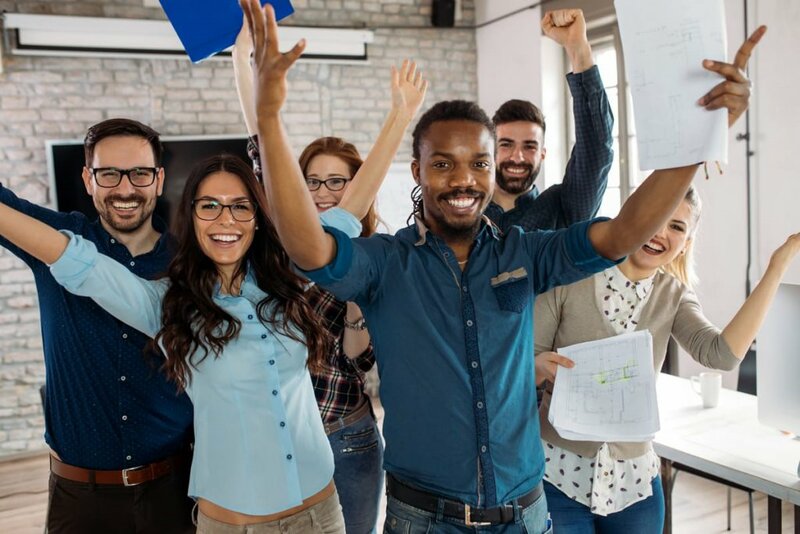 One of the most exciting things about creating an empowered work environment is that it makes it much easier to attract the best and the brightest – and when you’re working with smart, fun, motivated people every day, it’s fun to get to work! The culture of a business can drive innovation, motivation, and happiness, or it can hold a company back. We know which type of culture we prefer! And it all starts with a commitment to an empowered workforce.